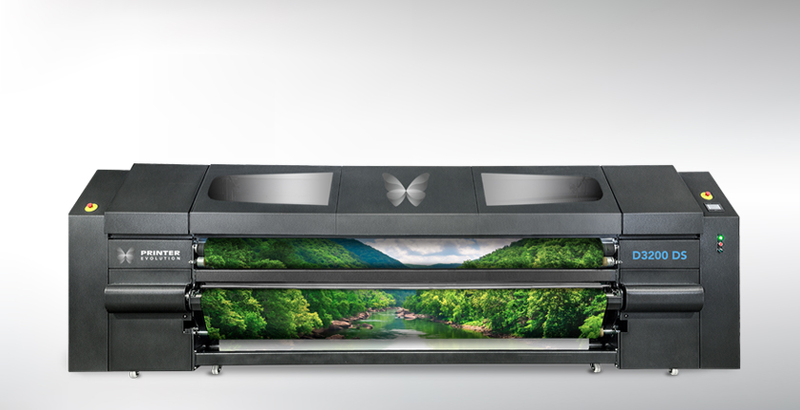 Building on our experience with the PrinterEvolution Kayo126 platform, we offer our newest dye sublimation textile printer based on the super fast, high resolution Kyocera head technology. These heads offer the fastest dye sublimation printing and smallest drop size in the digital textile print industry. Much like the Kayo, this is a transfer paper machine that focuses on single substrate printing, offering the lowest total cost of ownership in the industry through a combination of high pigment ink, lightweight paper and low cost of entry. 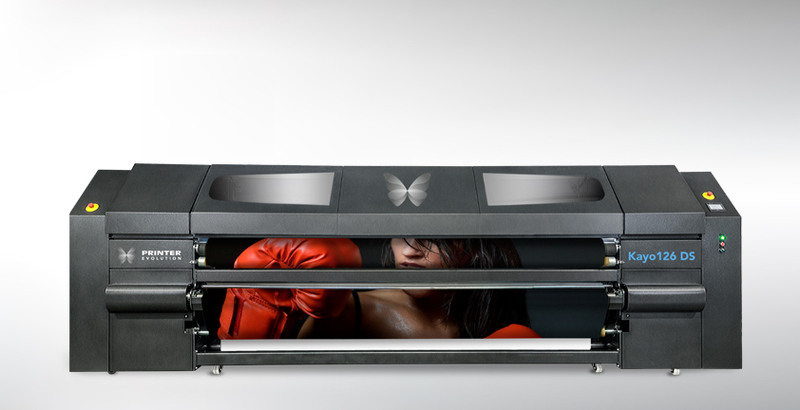 For added flexibility, the optional Direct Print Kit allows the Kayo to print direct to fabric as well, accommodating those special applications like backlit fabric printing and flags. Industrial built transfer paper dye sublimation printer. Three widths available: 74″ (1.8 meter), 104″ (2.6 meter) and 126” (3.2 meter) print widths. State-of-the-art Kyocera variable drop printheads. 2X faster than anything comparable on the market. 14-week lead time from receipt of deposit. The PrinterEvolution T Series T series prints on transfer paper only, so you only need to profile once for your paper and not for every fabric that is run through the printer. Spend less time profiling and more time printing. 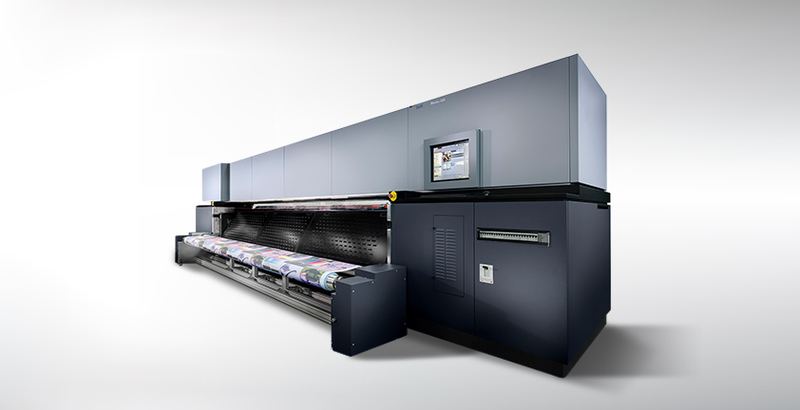 The T Series uses advanced technology with multiple drying elements for fast and accurate linear drying. It heats below the platen to warm the material while protecting the print heads. 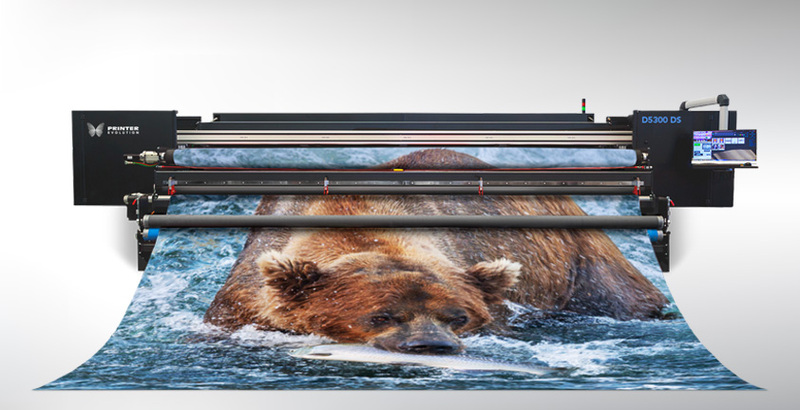 After ink is applied, the media then passes 39” of linear drying area with adjustable temperature settings up to 175° F. This drying process allows the ink to dry by the time the media reaches the take-up roll, even when printing at top print speeds. 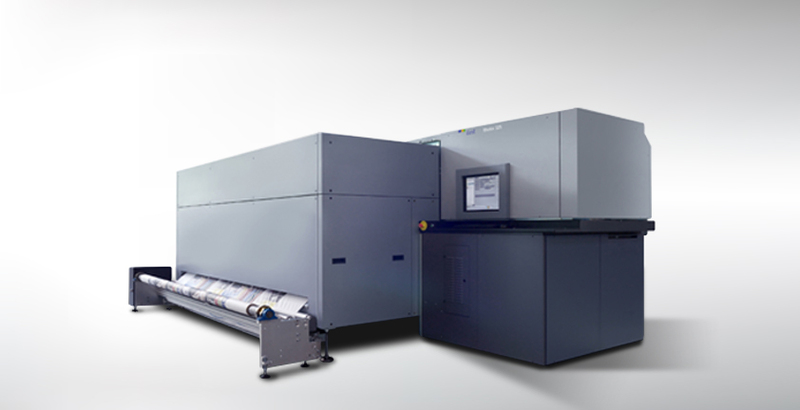 State-of-the-art high speed true greyscale with 4 pL native Kyocera printheads that can be configured as 2 or 4 heads per channel and are field upgradable when you are ready to increase your speed. The PrinterEvolution T series is almost 2x the speed of many of the most popular dye sublimation printers on the market today. Jumbo Roll Setup – Keep production moving with an optional Jumbo Roll setup that accommodates larger paper rolls, eliminating the need to switch out paper as frequently. Bulk Ink System – Pair the Jumbo Roll Setup with the T series 5 liter bulk ink system and you’ll be printing longer runs with fewer interruptions. Direct Print Kit – allows printing direct to fabric as well, accommodating those special applications like backlit fabric printing and flags. Super-fast dye sub with in-line sublimation. Available in 74", 102", and 126" widths. 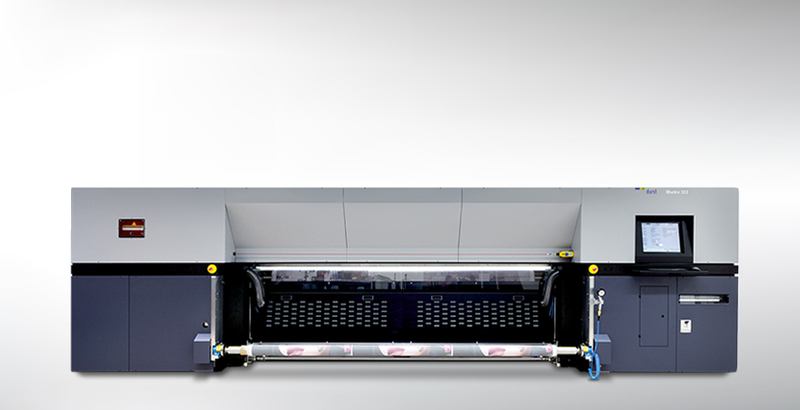 State-of-the-art Dye Sub printer with in-line sublimation. Available in 100", and 126" widths. 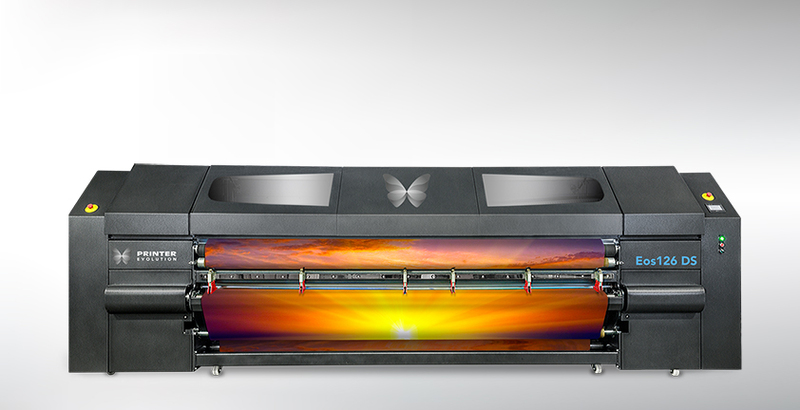 A state-of-the-art transfer-only Dye Sub printer. The first 5-meter dye sub printer on the market. Digital Textile Inks: Sublimation, Dispersion, Reactive and Acid.